August 10, 2017 August 12, 2017 M R AwasthiLeave a Comment on Leading the life of a recluse? Leading the life of a recluse? Truth is this, rather an eternal truth, that none bothers about the other ones and the question is why should they? And the question is why something for nothing? And yet the question resounds in the air why any tussle on that count or why any hue and cry for the purpose? Monkeys have an inherant propensity to kill their inmates if some one of them is fatally sick. Nothing wrong; it is aimed at rescueing the victim against tortuousmost an agony of pain. Humans too virtually fall in line with monkeys as a matter of cause. Socrates, a great thinker and philosopher, was poisoned by his own disciples including Aristotle, the most confidant follower of his. 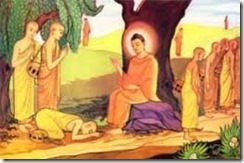 Lord Buddha had more or less the same fate and when his chief disciples Sariputra and Maudgalyayan rushed to him in his last moments he advised both of them too to follow the suit. 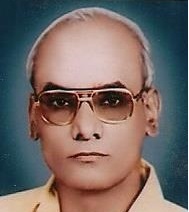 Swami Shraddhanand was given samaadhi by his followers against his will and the story is unending. What pervades triumphantly in a masculine measure is the Immanent Will and one has but to succumb to it.